Thank you so much for your support of the Senior Circle Chapter at Northside Medical Center First Anniversary. The fabulous event was entitled “The Road to Good Health is Paved With Good Humor”. Both members and guests were delighted with your generous contribution. I very much appreciate your contribution to make our first anniversary a rocking success. Thank you so much for the generous donation for our National Nursing Home Week raffles. Your donation helped to make our celebrations more special! On June 5, 2013 my family used your wheelchair transport services for an out of town trip. Mark our driver was wonderful! We really appreciated him. 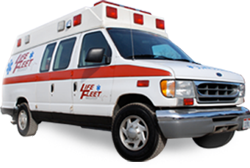 We will recommend your service and will use Lifefleet again. Thank you so much. I would like to thank you for your donation to the Senior Citizen Day Luncheon, held on Tuesday, May 14, 2013. Everyone who attended had a wonderful time. Your generosity makes it possible for us to celebrate those who have been a vital part of making this a great community. We would like to thank you for your generous gift for our fundraiser. Our Chinese auction was a big success and would not have been possible without your help. The money that was raised will go towards providing quality activities programs for our residents. Saber Healthcare Foundation thanks you for your generous monetary donation in support of our annual charity golf outing. Your commitment to Saber Healthcare Foundation and its support of a variety of national and local charities such as the American Heart Association, Susan G. Komen for the Cure, the Alzheimer’s Association, the Make-A-Wish Foundation, area Food Banks, and others is greatly appreciated.